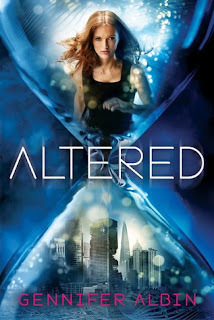 My pick is Altered by Gennifer Albin! Why oh why did have to change the covers?? I LOVED the old cover for Crewel, the first book in this series. It was so brilliant and unique, and I don't think the new covers are all that exciting. I'm sad that they had to change the cover mid-series too - now my copies won't match! *sigh* Cover issues aside, I am beyond excited for this book. Crewel was one of the most creative books I read in 2012, and I'm eager to dive into Altered when it comes out next month and find out what's in store next for Adelice. What's your WOW pick? Comment with a link to your blog so I can stop by!